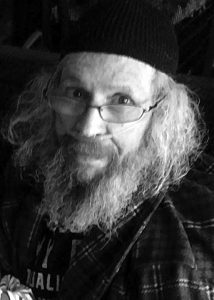 Douglas Clare Kelsey, a happy, honest friend of many, died peacefully on Sunday, April 22, 2018 in Kalamazoo. Doug, 68, of Vermontville, was born November 21, 1949 in Lansing, the son of Dr. Lewis Donald and Hildred Louise (Figg) Kelsey. He graduated from Maple Valley High School in 1967 before earning a bachelor’s degree in political science and history from Olivet College, and a master’s degree in public administration from Western Michigan University. He also graduated from the Institute of Organizational Management through Notre Dame University. Doug held many esteemed positions throughout his career. He started with the Michigan Auto Parts Association in membership benefits before moving to the Michigan Floral Association. He worked three years as the Director of Education and Certification for the Professional Insurance Agents of Michigan, followed by serving as Director of Member Programs for the National Hearing Society and administered the National Board of Certification for hearing instruments and specialists. He served as CEO and President of the Michigan Home Health Association for two years before eight years as Executive Director of the Association of Builders and Contractors of Central Michigan. He formed his own firm, Kelsey Consulting and Management Group until 2008, when he went to part time project consultant for the Dispute Resolution for Education Resources. He held distinctions as Past President of Michigan Chapter of Meeting Professionals International and as a certified Association Executive. Doug loved Vermontville. He served as Master of Ceremonies for the Syrup Festival for 35 years and was named the festival’s Grand Marshal for 2018. Throughout his many years of public service, he always remained fiercely dedicated to his hometown. He spent much of his time with friends. He enjoyed time on the golf course – as long as no score was kept – and enjoyed the occasional good scotch or bourbon. Doug will be remembered for his quick wit and approachable nature. He made a difference in many lives and maintained his friendships throughout his life. Friends are encouraged to support Doug’s family at visitation and funeral services. Funeral services were held Friday, April 27, 2018 at 2 p.m. at the First Congregational Church in Vermontville, with Rev. Pool officiating. If desired, the family suggests memorial contributions to The Maple Valley Scholarship Fund. Friends and family are encouraged to share memories of Doug on his tribute page at PrayFuneral.com. 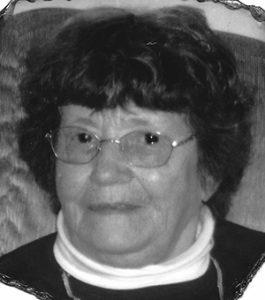 Catherine E. Pion, 92, of Dimondale, died April 21, 2018. She was born January 7, 1926 in Big Rapids, a daughter of George and Alice (Amedon) Stratz. She worked with her sister, Mary Stratz, at Mary’s Truck Stop and also at JMK’s Flea Market. Kaye enjoyed Bingo and traveling road trips to the casino. She was preceded in death by her husband, Maynard, and daughter, Anne. Surviving are her children, James (Kathy) Pion of Olivet, Linda Mason of Potterville, Debra (Jeff) Saylor of Mesick, Diane (Brad) Hart of Onondaga, Tom (Wendy) Pion of Eaton Rapids, Carol Pion of Charlotte and Daniel (Tamara) Pion of Dimondale; 15 grandchildren; 16 great-grandchildren; two brothers, Francis Stratz of Livonia and Bernard Stratz of Walled Lake; one sister, Rose Kogler of Byron Center; several nieces and nephews. Services were held Wednesday at St. Mary Catholic Church, Charlotte, with Fr. Dwight Ezop, celebrant. Interment was in Dimondale Cemetery. Memorial contributions may be made to Sparrow Foundation/Hospice House of Mid-Michigan, P. O. Box 30480, Lansing, MI 48909-9986. Kenneth Allen Patrick, 59, of Nashville, passed away Wednesday, April 18, 2018, at home with his family by his side. He was born March 30, 1959, in Charlotte, the son of Kenneth Ray and Carol Ann (Eaton) Patrick. Ken was one of the most giving people one could ever have the privilege of knowing. He always saw to it that others were taken care of before himself. Ken had a deep love for music. He loved playing his guitar and wrote many original songs throughout the years. He was extremely easy going and had a tremendous sense of humor. Ken is survived by his sons, Jesse James-Ray (Heather) Patrick of Nashville, Sean Matthew (Dusty) Patrick of Lansing; grandsons, Drako and Draven Patrick; brother, Curtis Lloyd (Missy) Patrick; and sister, Earlean Jo King. Per Ken’s wishes, there will be no services and cremation has taken place. Those desiring may make contributions in Ken’s memory to his family. To view Ken’s obituary online or to leave a condolence for the family, please visit burkhead-greenfuneralhome.com. 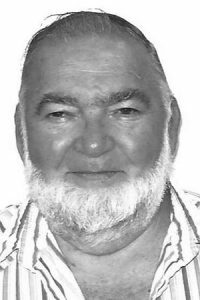 Raymond Russell Carter of Olivet passed away on Friday, April 20, 2018 at the age of 76. He was born September 27, 1941 to Charles and Irma (Allison) Carter in Lansing. Ray honorably served his country in the United States Navy. He went on to work as a pipefitter for Oldsmobile, from where he retired in 1994. During that time Ray was a member of the UAW Local 652. He enjoyed spending time on his farm where he would chop and burn fire wood and raise cattle. Before his illness Ray also enjoyed playing cards at the Jean Bradford Kline Senior Center in Eaton Rapids. Preceding him in death were his first wife, Linda Ball; sisters, Doris Hook, Sue Ann Carter and his parents. Surviving are his wife of 53 years, Glenda Carter; daughter, Catherine Bassar; son, Charles Carter; granddaughter, Sarah (James) Lawrence; great-granddaughters, Lilith Lawrence, Ellarie Lawrence; brothers-in-law, Francis Hook, Art Yargar, Mike (Darlene) Swan; sisters-in-law, Palmoneada Jones, Cindy Hall, Susan Sinclair as well as many nieces and nephews. A memorial will be held from 11 a.m. to 3 p.m. on Saturday, May 5, 2018 at the Jean Bradford Kline Senior Center in Eaton Rapids. Gerald (Jerry) Kent passed away April 18, 2018 after a short and courageous battle with cancer. He was born to Walter and Mildred (Dilley) Kent on September 5, 1931 in Grand Ledge. Jerry is survived by his loving wife of 64 years, Anne (Smith) Kent; his daughters, Kristine (Jeff) Hynes, and Teresa (Tom) Gloden; brother, Wayne (Nancy) Kent; sister-in-law, Mary (Smith) Wadsten; grandchildren, Kiel and Brett Gloden, Stephanie (Corey) Thelen, Rebecca (Spencer) Duits, Jennifer (Kojo) Enu, and Kelly Hynes; great-grandchildren, Teamana and Ra’ihau Eugenio; Kara Thelen; Jak Duits; Chase, Ryder and Carter Gloden. He was predeceased by his son, John Kent in 2010. Jerry attended the Figg Elementary School in Sunfield, Woodland High School in Woodland, and graduated from Nashville High School in 1949. Jerry joined his dad, Walter, a Standard Oil Agent, in 1950 and took over the Agent route in 1965. In 1976, Jerry and Anne became independent business owners of Kent Oil and Propane and retired from the business in 1996. Jerry served on the Nashville Fire Department for 32 years, assisted the Nashville Police Department on weekends, served on the Nashville Village Council, and drove school bus for the Nashville school system. He also served as a sergeant in the Michigan National Guard from 1949 to 1956. Jerry prided himself in serving his customers for 47 years, and enjoyed boating, deer hunting with his family (especially his brother Wayne), spending time with his family at the Kent Cabin at Higgins Lake in the 50s and 60s, spending time at the family cottage at Mitchell Lake from 1986 until it was sold in 2016, playing cards with friends, camping, going to the casino, golfing and mowing lawn on his John Deere. Jerry was well respected and will be remembered as a hard-working and kind gentleman. A funeral service was held on Monday, April 23, 2018 at St. Cyril Catholic Church in Nashville. In lieu of flowers, donations may be made to the Maple Valley Memorial Scholarship Foundation, P.O. Box 715, Nashville, MI 49073 or St. Cyril Catholic Church, Nashville, MI. 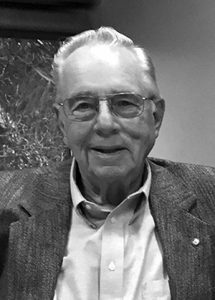 Robert Gordon Jones, 82, formerly of Bellevue and Battle Creek, died Thursday, April 19, 2018 at his home near Ewing, Mo. He was born August 1, 1935 in Quincy, Ill. to the late Henry Edward Jones and Marjorie (Brown) Jones. The family moved to Battle Creek when he was younger. He attended Urbandale School and graduated from Battle Creek Central in 1953. In 1954 he married Nancy Harrison at the Ceresco Baptist Church. They lived in Missouri for a period of time, where their oldest daughter was born. Upon returning to Battle Creek, he worked in the pressman’s trade in Battle Creek print shops and in the pressroom at the Battle Creek Enquirer. There other three children were born while they were living in the Bedford area. In 1965 they moved to a farm near Bellevue. In 1968 he continued being a journeyman pressman and became publisher of the Bellevue Gazette. He was also a volunteer firefighter for the Bellevue Community Fire Department. He continued his love of farming while carrying on his trade of pressman. He raised crops, made sorghum and always found time to fish, hunt, and make his trip to the Upper Peninsula for bear hunting (a tradition that started in the 1950s with his father and he carried on to share with his son). After relocating to Missouri, he continued work as a pressman and retired from J.K. Creative in Quincy, Ill. It was time to farm some more, raise cattle and hunt and fish. He is survived by his wife, Emily; his daughters, Debra Jo McDaniel of Crystal Beach, Fla., and Donna Postma of Aiken, S.C.; his son, Alan Lee (Lisa) Jones of Newton, Kan. Also surviving is his grandson, Tony Smitherman of Morristown, Tenn.; two granddaughters, Kyra Postma of Aiken, and Leigh M. Jones of Newton. He is also survived by the mother of his children, Nancy (Nan) Jones of Bellevue; his sister, Betty Lou (Roger) Bishop of Ewing; three stepsons and their families; and nieces and nephews. He was preceded in death by his parents, and his daughter, Denise Ann (Jones) Ratliff. Services were held at Lewis Brothers Funeral Chapel in Palmyra, Mo. on Wednesday, April 25, 2018, with burial to follow at Providence Presbyterian Church Cemetery near Benbow. The cemetery adjoins the centennial farm, from his maternal family, which he has resided on the past several years. Memorial contributions can be made to the Bellevue Fire Department. The family is being served by Lewis Brothers Funeral Chapel. Betty Lou Whitmore, 92, a kind and caring family matriarch of Charlotte, died peacefully on April 25, 2018. Betty was born July 1, 1925 in Parma Township to Orval and Bertha (Wise) Graham, one of 12 children. In 1948 she married Bernard Whitmore, and together they raised five children, with good old-fashioned homemade meals (a favorite was Betty’s famous chicken dinners), mouth-watering desserts, and lots of love to go around. 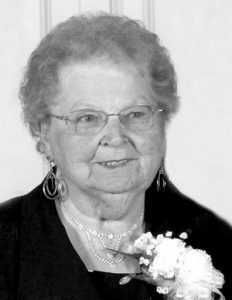 Betty was a lover of music, and she also enjoyed doing puzzles, playing cards including euchre and rummy, and needle work. She very much loved time spent outdoors, whether it was farming, gardening, fishing, or just a leisurely stroll to enjoy the beauty around her. Betty previously worked at Wilcox Gay, Michigan Magnetics, the Piston Ring in Hastings, and Kellogg’s. She was known as a sassy, stubborn lady, with a great sense of humor and loads of creativity. She was a volunteer grandparent for the foster grandparent program, just another way for her to share all the love she had to give. Betty is survived by her loving family, including five children, Orval (Robin) Whitmore, Christine (Doug) Polhamus, Teresa (Dale) Horn, Loretta (Gordy) Shepard, and Kim (Barbara) Whitmore; 14 grandchildren, Robert, BJ, Christopher, Keith, Michael (Kara), Kevin, Corey (Emily), Marci (Rich), Brent (Holly), Eric, Clint (Christine), Chad, Christel, Jason (Jessica); 22 great-grandchildren; and three great great-grandchildren. She was preceded in death by her loving husband, Bernard in 1989; granddaughter, Jennifer; her parents; and 11 siblings. Friends are encouraged to support Betty’s family at visitation and funeral services. Funeral services are Monday, April 30, 2018, at 2 p.m. at Pray Funeral Home in Charlotte, with Pastor Janine McGill officiating. Visitation is Sunday, April 29, from 3 to 6 p.m. at Pray Funeral Home. If desired, Betty had suggested donations to the American Cancer Society. 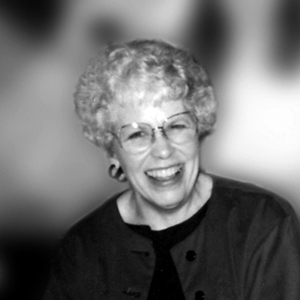 Friends and family are encouraged to share memories of Betty on her tribute page at PrayFuneral.com. Marjorie Louise (Evers) Stewart went to be with Our Lord and Savior Jesus Christ Friday, April 13, 2018 in Winter Haven, Fla. Marj was born April 19, 1945 in Howell, to the late Hans and Sarah Jane (Singleton) Evers. 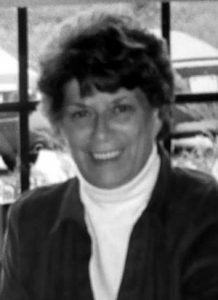 She graduated in 1963 from Hartland High School in Michigan. Marj married Keith Stewart Jr. January 22, 1966 and four children were born from that union. They made their home in Olivet, where she was a homemaker and baker at Cornwell’s Turkeyville for years. Marj was a very generous and loving person who loved spending time with her family, especially her grandchildren. She also enjoyed gardening, sewing, crafting, canning, baking pies and feeding birds and squirrels. To know her was to love her. Marj leaves to cherish her loving memory her devoted husband, Keith H. Stewart Jr.; her four children, April (James) Kiplinger, Michele Kiplinger, Scott (Lisa) Stewart and Jeffrey (Michelle) Stewart; her grandchildren, Emilea (Will) Church, Erika Kiplinger, Colleen Kiplinger, Katie Stewart, Jaysen Kiplinger, Kayla Stewart, Carley Stewart, Bailey Stewart, Mason Stewart, Tyler Kiplinger and Tydan Stewart; siblings, Sue Truhn, Richard (Barbara) Evers, Jim (Joan) Evers, Edward (Jeanne) Evers, Rita Evers and Phillip (Laura) Evers. She also had several nieces, nephews and friends she adored. Marj was also preceded in death by her sister, Marie; and brothers, Peter and Donald. There will be a memorial service held for Marj Friday, May 4, 2018, from 1 to 4 p.m. at the American Legion in Charlotte, located at 1000 W. Lawrence Highway. Jane Amanda (Roberts) Papranec, a faithful, devoted and loving mother, grandmother, great-grandmother, aunt and sister, of Charlotte, died Wednesday, April 11, 2018, surrounded by her family. Jane was born June 2, 1934, in Detroit to David and Sadie (Schlotta) Roberts. Sadie passed away when Jane was a young girl. Her father David later married Ceil Docter. Jane earned her Bachelor’s Degree in Education from Marygrove College in Detroit. On June 20, 1959, Jane married her sweetheart, Joseph Papranec, and together they created their legacy. She worked as an administrative secretary at St. Mary Catholic Church in Charlotte. Jane also volunteered for Mobile Meals, but most importantly she was a very dedicated mother. Her husband Joseph passed away in 1972 leaving her to raise 10 children on her own. Jane leaned on her strong faith in the Lord to overcome the struggles. She was known for lending a listening ear to assist others, being a mother to everyone, and for being a very modest woman. Jane enjoyed traveling, playing bingo, trying new restaurants, reading, and attending her children and grandchildren’s events. She also loved cheering for the Detroit sport teams and Notre Dame. Jane enjoyed playing Keno. Her love for Keno came on her 72nd birthday when she won $72. Above all, Jane adored her family. Jane is survived by her children, John Papranec, James Papranec, Julie (Kurt) Crandell, Mary (Joe) Keeley, Kathleen (David) Lightner, Carolyn (Chad) Walker, Elizabeth (Steve) Walker, Lisa (Joe) Cerven, and Joseph (Keri Jo) Papranec; 15 grandchildren and 16 great-grandchildren; and brother, David Roberts. She was predeceased by her husband, Joseph Papranec; son, Peter Papranec; parents, David and Sadie Roberts, and Ceil Roberts; siblings, Bette Kidder and Claude Roberts; brother in-law, Paul Papranec; and mother and father in-law, Amalia and Josef Papranec. Funeral services were held Friday, April 20, 2018, at 11 a.m. at St. Mary Catholic Church in Charlotte, with Rev. Fr. Dwight Ezop officiating. In lieu of flowers, the family suggests memorial contributions be made to St. Vincent DePaul of St. Mary of Charlotte or Eaton Community Palliative Care. Robert Eugene King, 85, lifelong resident of Charlotte, passed away April 17, 2018 in Lansing. He graduated from Charlotte High School; he was president of the Charlotte FFA and received the FFA Star Farmer of Michigan, played football and was a Golden Gloves boxer. After graduation, he entered general livestock farming full time, then in 1953 reduced the farm to a cash crop operation, and started employment with AEC (Hoover Group) that lasted 33 years. Robert was drafted in the U.S. Army in 1955, served two years in the 3rd Armored Division. He continued farming and then later worked for and retired from East Jordan Iron Works in Sunfield. He enjoyed building model airplanes when he was younger and worked on genealogy in his later years. Survivors include his daughters, Shannon (Lee) Hoover and Kim (Michael) Birsen; granddaughters, Alexandria Birsen and Samantha Birsen (Brandon Dykstra); three brothers, Ivan King Jr., Vincent (Shirley), and Thomas (Sharon), many nephews and nieces. He was preceded in death by his parents, H. Ivan and Winifred (Sanford) King and brother Richard. In honoring Robert’s request, no services will be held and cremation has taken place. 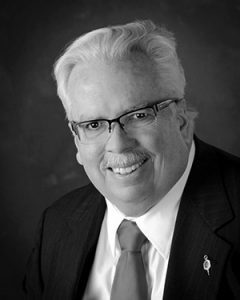 For those wishing, memorial contributions may be given to Eaton Community Palliative Care, 2675 S. Cochran Road, Charlotte, MI 48813 in memory of Robert King. The family is being served by the Peters & Murray Funeral Home in Grand Ledge. Online condolences may be made at petersandmurrayfuneralhome.com.